I don’t care about Aaron Sorkin, so I guess we’re even. Aaron Sorkin called “transgender bathrooms” a distraction over the weekend, which is now distracting me from my busy day of not caring about what Aaron Sorkin has to say about trans people’s access to public restrooms. In a Fareed Zakaria GPS segment that aired Sunday, the CNN anchor asked Sorkin which politicians’ speeches he liked and which ones he didn’t. The West Wing creator, who won the Academy Award for Best Adapted Screenplay in 2010, said he’s a fan of Senator Kamala Harris and former Vice President Joe Biden, but he declined to name any lawmakers he’s not a fan of, opting to go on a weird, patronizing tangent about “transgender bathrooms” and decorum instead. 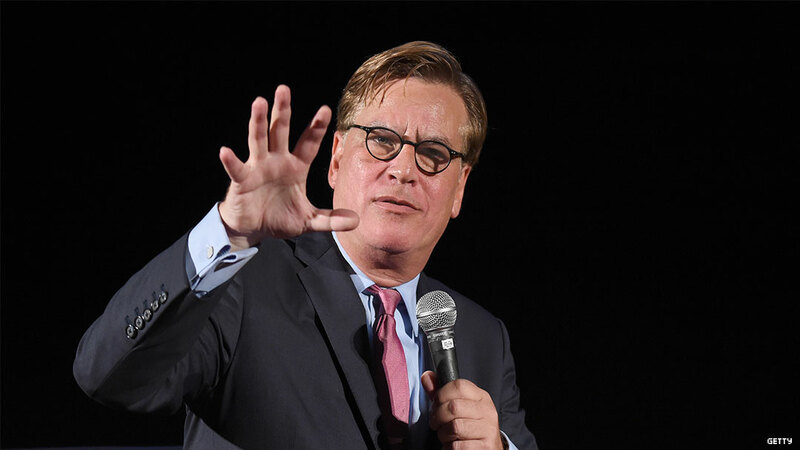 Sorkin’s white liberal longing to Make America Civil Again aside, his comments about “transgender bathrooms” — that is, the political debate over whether trans people should be able to use public restrooms that correspond with their gender — being a Republican distraction are so bafflingly out of touch as to not even require a debunking. One could argue that GOP lawmakers have used so-called “bathroom bills” and trans predator fearmongering to distract voters from siding with pro-LGBTQ+ non-discrimination laws, but that’s not the distraction Sorkin alluded to. He meant “transgender bathrooms,” period. None of this is real to him. Trans people’s ability to participate in public life is all just rhetoric, nothing more than “a Republican talking point” that will lose us — i.e., people Sorkin actually cares about — the election. Anyway, Alexandria Ocasio-Cortez, a newly elected Democrat from New York who numbers among “that new crop of young people who were just elected to Congress,” responded to Sorkin’s comments Sunday, tweeting: “Medicare for All & equal rights aren’t trends. When people complain about low turnout in some demos, it’s not because communities are apathetic, it’s bc they don’t see you fighting for them. If we don’t show up for people, why should you feel entitled to their vote?" She also promoted YouTuber H.Bomberguy’s Twitch fundraiser for Mermaids UK, a British organization for trans and gender-nonconforming kids, later popping into the livestream herself to speak out for trans rights.